Ideal living room idea for the modern home that uses layers with a few colors to create a theme with furniture in light finish. This simple and appealing living room idea works for the sheer use of layers that makes it suitable even for small spaces. Designed with attention to minimal details, the design features walls in yellow and white with the furniture designed in white. With almost no additional items and a few lights, this is perfect for those homes where colors have a role to play in creating moods. 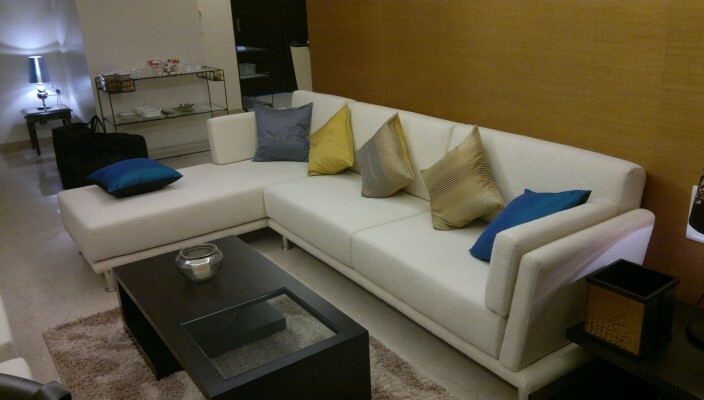 The added cushions in colors only add more value.